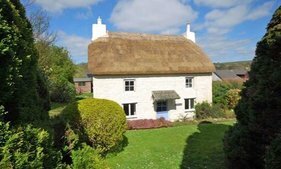 Earlier Unique Property Bulletin Item – 10th December 2017. 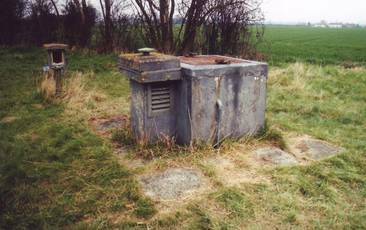 This looks like an interesting projects and certainly has had some work conducted on it. 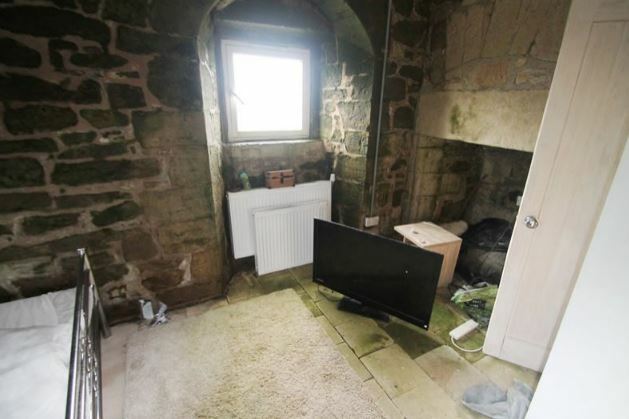 Unfortunately, the interior is fairly basic, almost brutal in the counterpoint between modern convenience and bare, exposed walls, likely dating back to the original year of building which was reported to be in the 16th century. 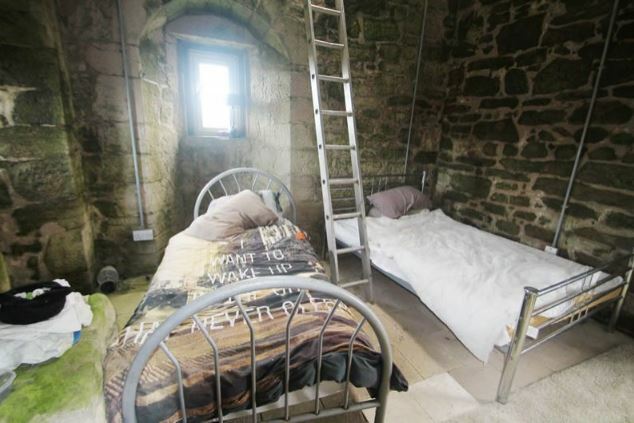 Ladders To The Tower Top, or Bedroom 2? To the left of the picture above is either an unfortunate shade of green side-bed, or rampant mold left over from Halloween. These rooms look okay for a weekend camping, but not habitable in the temporary or medium term, let alone as a permanent home. 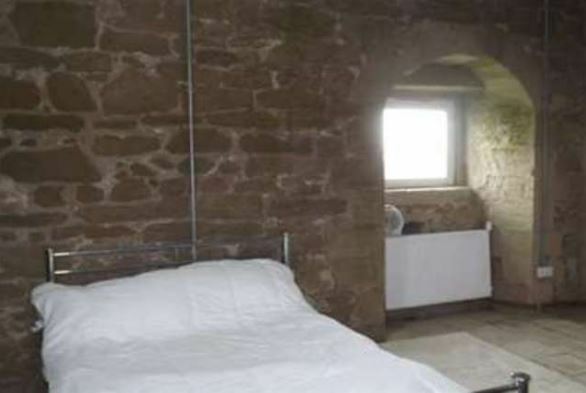 Caldwell Tower: 11th Century Decor? 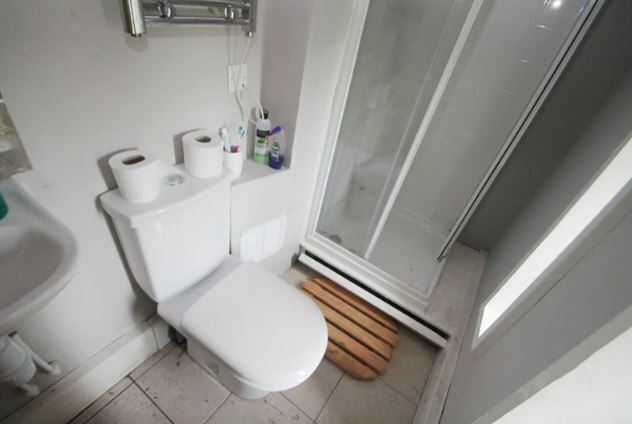 Why do estate agents and auctioneers do this? To describe a building being sold in this condition as “tastefully restored” (twice in the same paragraph) is abominable. Okay this extract from the narrative does contain plenty of codicils about needing further works, but with the greatest respect, Future Property Auctions would do well to revisit their blurb writing department and stop with the cliche ridden guff. Notwithstanding our minor gripe about auction prose, and the fact this is a helluva basic refurb., so far, there is considerable potential. 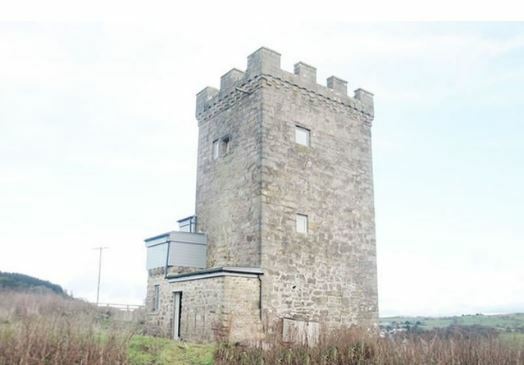 So someone, somewhere may be able to transform this tower house into something truly remarkable. It would appear to have been a brave soul’s effort to take on their dream project, but for whatever reason, they have bitten off much more than was manageable. It is sad to see dreams not come to fruition. Hopefully, their next project will not be so over reaching in ability to arrive at a habitable conclusion. 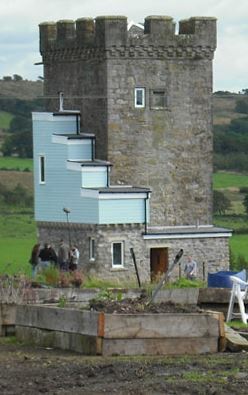 You will need deep pockets to complete this tower home. The sale price reflects that. This, of course, is only our opinion. Others do in fact share a similar view. 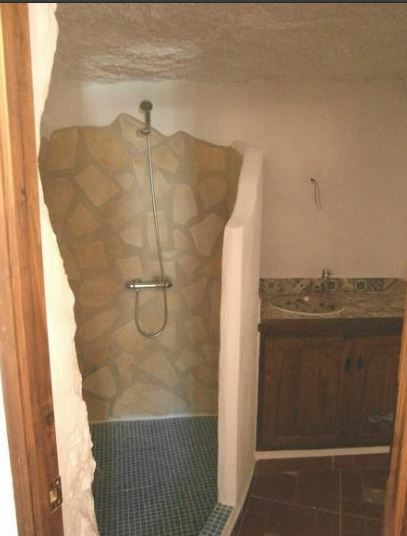 Some are more delicate in how they describe the garish additions (here). 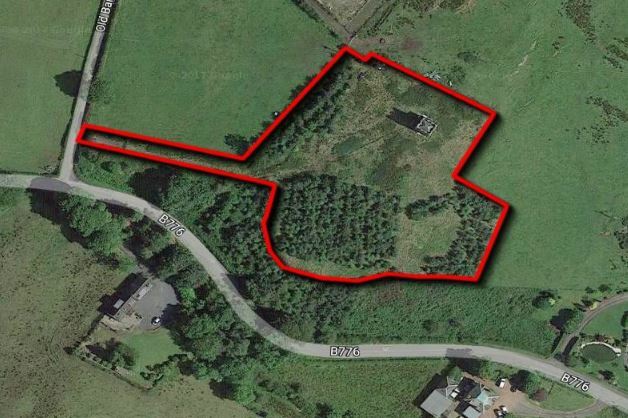 A Sizeable Plot of Land Included With The Building. 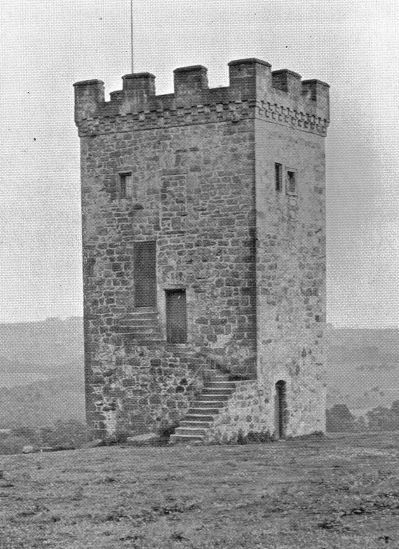 Caldwell Tower – As Was – For Many Centuries. Getting back to normal. Fresh listings in next few hours. Lots of Lovely Snow. Back To Normal Soon Though. 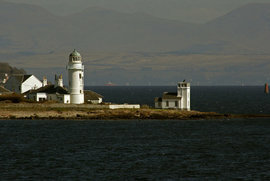 As with many parts of the country, there have been power cuts here. 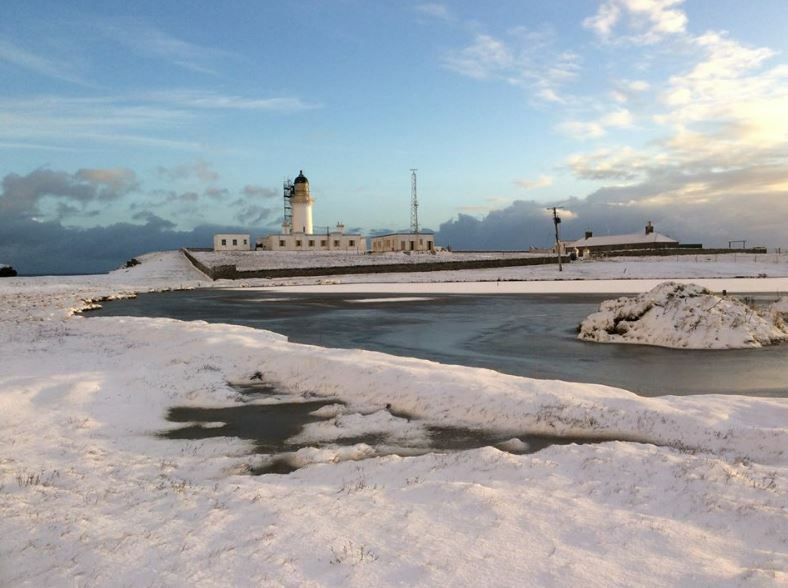 Then a lot of picturesque snow at the new Unique Property Bulletin HQ. 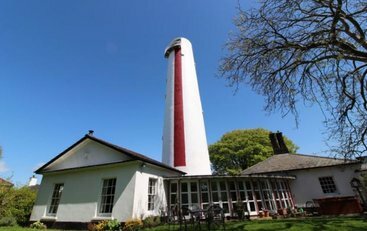 Fortunately, power is now restored and we shall be uploading several links to unusual properties in the next few hours and days. Earlier Addition – 3rd December 2017. Treat Your Nearest & Dearest To A Wonderful Worcestershire Rock Home Holiday. 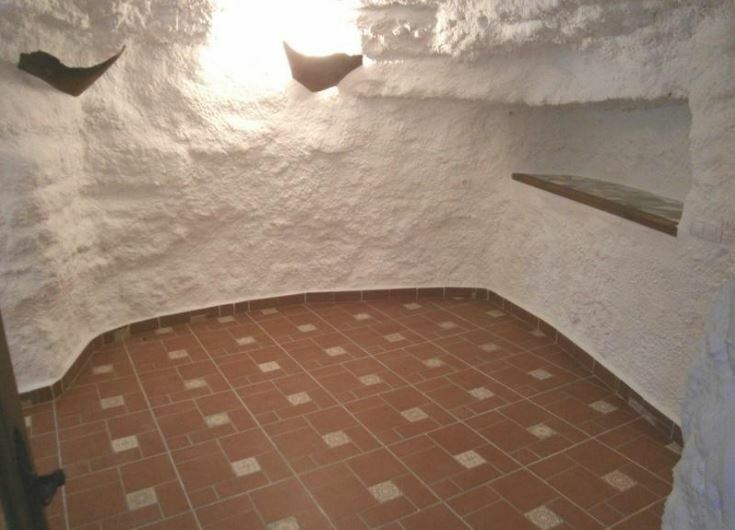 A lot of rock for £195 per night. 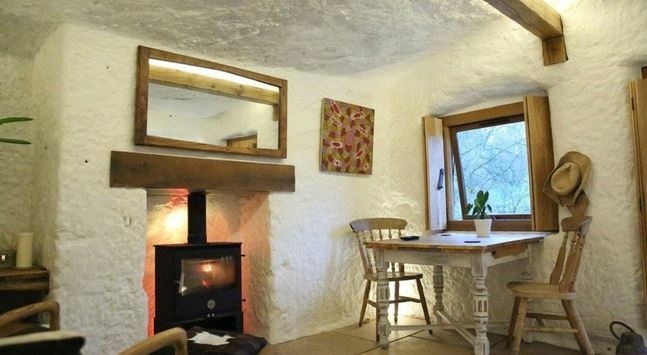 This hand-hewn retreat also has access to 3 acres of private woodland in total seclusion. The interior space is a giant hand-carved sculpture with beautiful lighting to cater for any ambiance, whatever your mood. 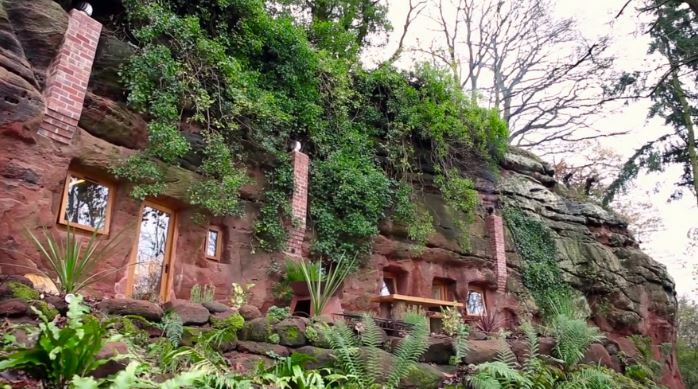 This is a pretty inspirational place to stay and we hope it will set some of our readers on a course to find a suitable humongous big rock to carve their own home within. 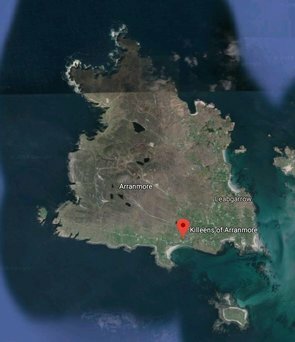 Maybe even a small mountain if you fancy going for a bigger undertaking: for example, a megalithic motel! ‘One of the most thought provoking designs we’ve seen on the show yet’. 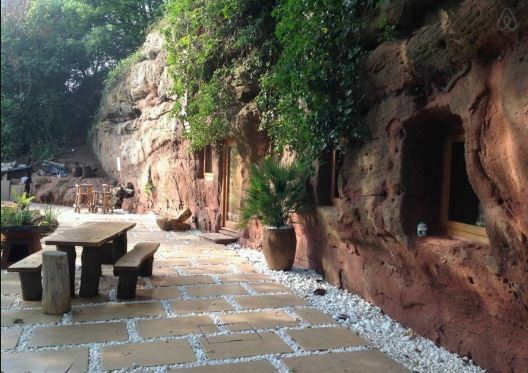 This is the ultimate authentic romantic cave escape for anyone seeking a unique luxury retreat in total peace, tranquility and seclusion. Modest Front Elevation & Entrance. 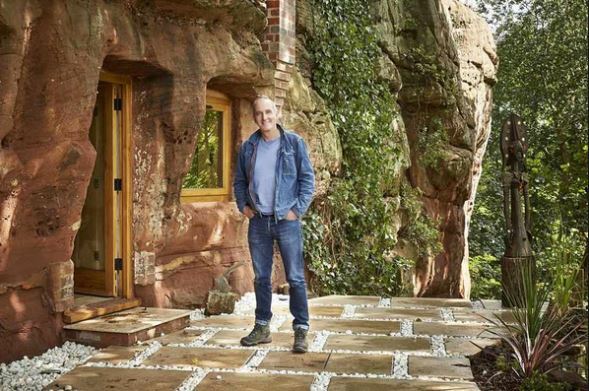 The annoying old estate agent guff about a property being “deceptively spacious” would actually work with this rock house – because several rooms are hidden from sight and you just would not know they were there from the outside appearance. 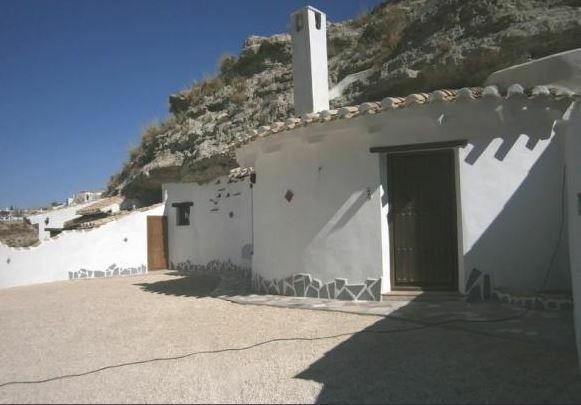 Estate Agency Summary: A beautifully renovated cave house situated midway up the valley on the edge of Galera, Granada, with fantastic views looking over the countryside towards the Sagra mountain from the patio. 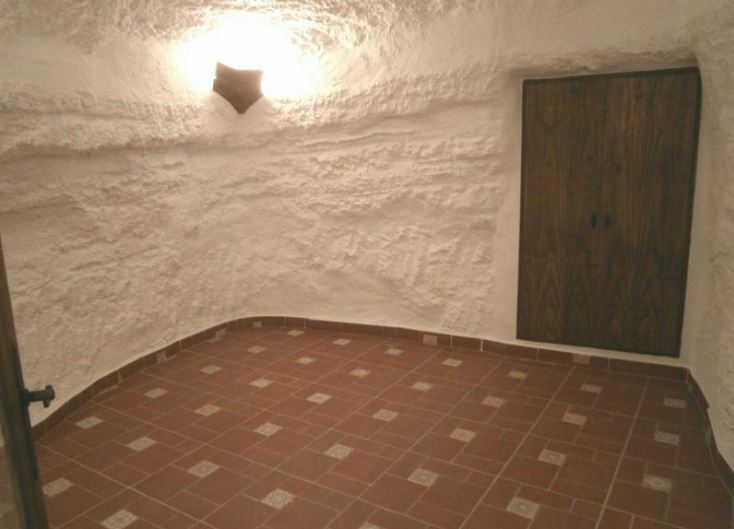 Includes a gravelled front Patio area. Mains services and internet available. 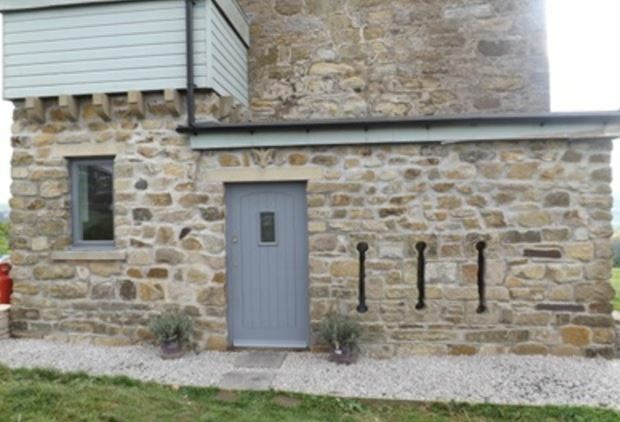 Accommodation: 2 bedrooms, 2 bathrooms (1 en-suite ) , kitchen/diner, large open plan living room. 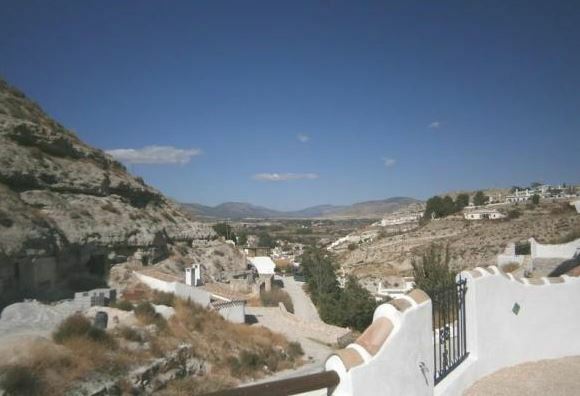 Cave House Patio – View From. Just because you live in a cave, doesn’t mean you can’t have a lovely vista when you do emerge from your ancient underground abode. Also for our readers in the north of England, the light circular thing in the sky that makes everything in the photograph bright and dry is called the Sun. You may have forgotten what it looks like with all the rain – especially for folk who live in Manchester! 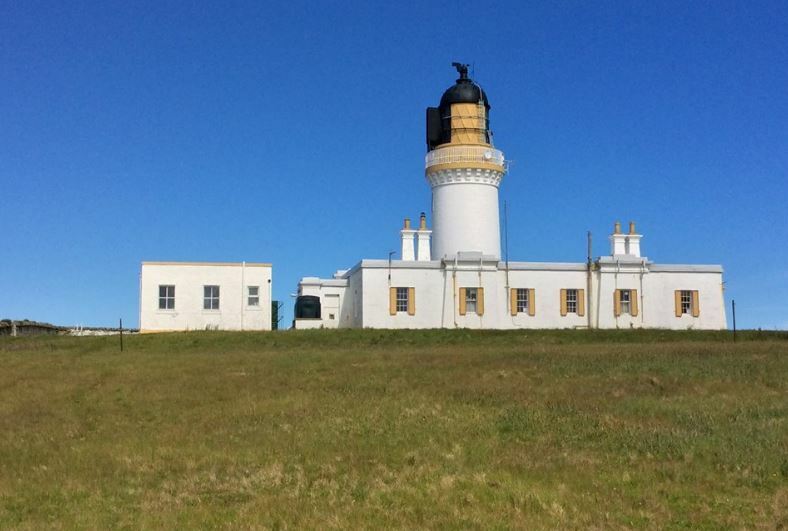 At Unique Property Bulletin, we rarely stray from featuring British buildings. 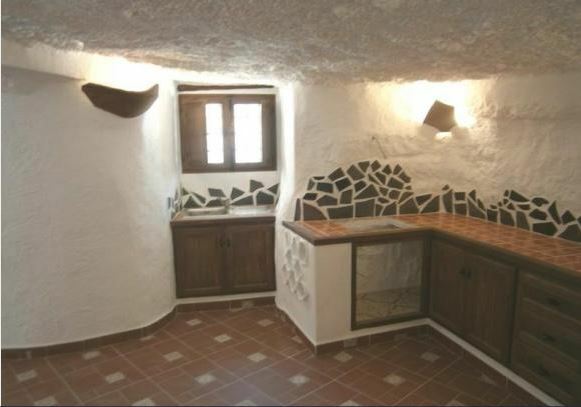 However, this is a particularly unusual style of house. Also, once we open our new Bulletin offices and relaunch this website in 2018, we are considering starting two (independent and separate) sister internet sites: one covering European property and the other for the United States of America + Canada. 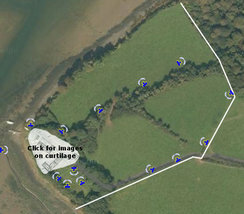 Please text us if you think two additional sites to cover these area of unique property abroad is a good idea – or not? Thank you. We very much welcome your views: Text: 0793 557 2803. The current price has been reduced by Euros 8,000 and as at 3rd December 2017 sits at offers around Euros 62,000. This day’s exchange rate gives a UK equivalent of approximately: UK £54,745. 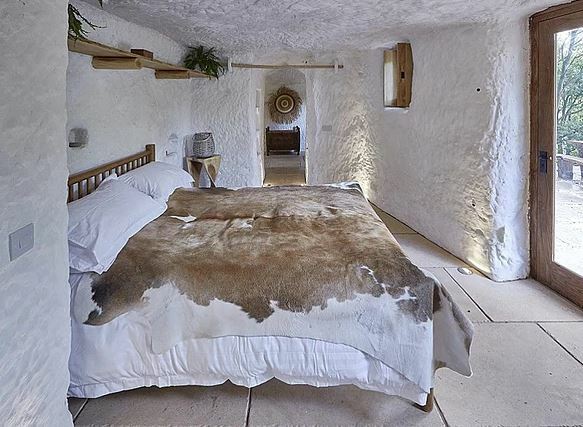 Before considering this cave house, Unique Property Bulletin strongly recommends you take extensive legal advice as the property laws in Spain, or lack thereof have resulted in UK ex-pats losing £100,000. 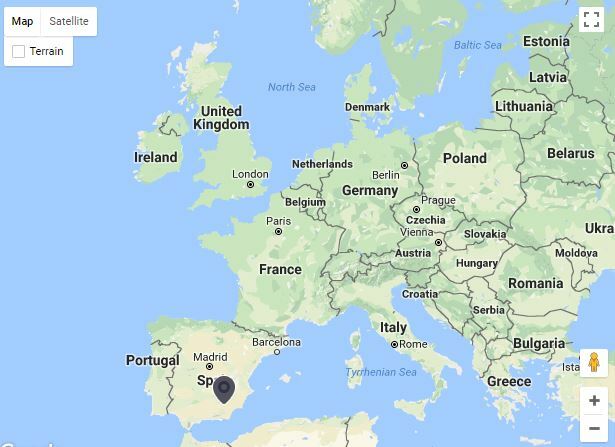 Even with new Spanish laws being reported (here) we would be reticent about just jumping into a purchase of Spanish houses. Sold At £327,200. Now Available For Rent: Click Here. 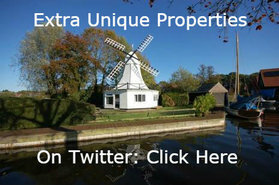 A full spectrum covering 100s of unusual properties such as Horning Windmill have featured in Unique Property Bulletin over our 25 years of publication. 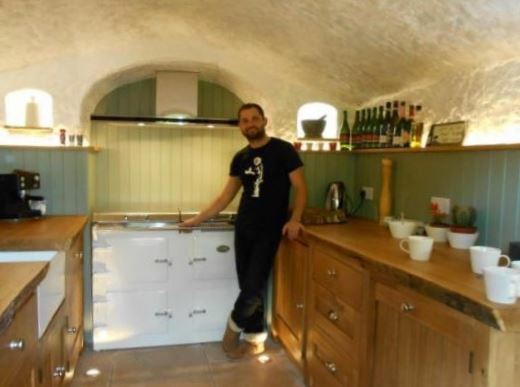 Many of our readers have become unique property owners as a result. 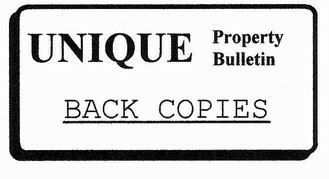 Ever since we first produced the initial copies of Unique Property Bulletin in 1992, we have operated it as not-for-profit entity. However, since we moved from the paper-print presentation to the online internet format, our readership numbers have gone through the roof increasing beyond our belief: from 3,250 paper copies per edition, to between 20,000 and 50,000 a month online. Some posts on this website have achieved a viewing rate well in excess of 150,000 readers. Eventually, in 2011 we went to an online Bulletin and readership numbers took off. 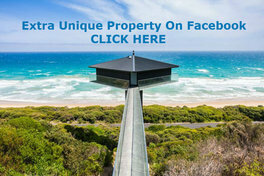 These high level of new (and existing) Unique Property Bulletin readers is excellent, but the emails (which we love) surge when we post something that ends up going a little viral! When this happens our small group of volunteers become stretched to near burnout. Often answering correspondence and helping friends, colleagues and all the readers who write in, at unearthly hours between 10pm and 3am (as each have day jobs elsewhere). 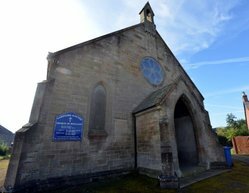 So this year, as part of our quarter century review (as you do), we have put in place a process where the Unique Property Bulletin (UPB) will own several buildings (mortgage free) in a dedicated trust. One small office within this portfolio will be utilised by this publication for admin + editorial + IT etc., whilst the rest of the buildings will be rented out. That income will be ringfenced to pay new employed staff plus the webserver/IT and related costs to keep Unique Property Bulletin at he top of it’s game. Real Progress From A Virtual World. The Internet Bought This! 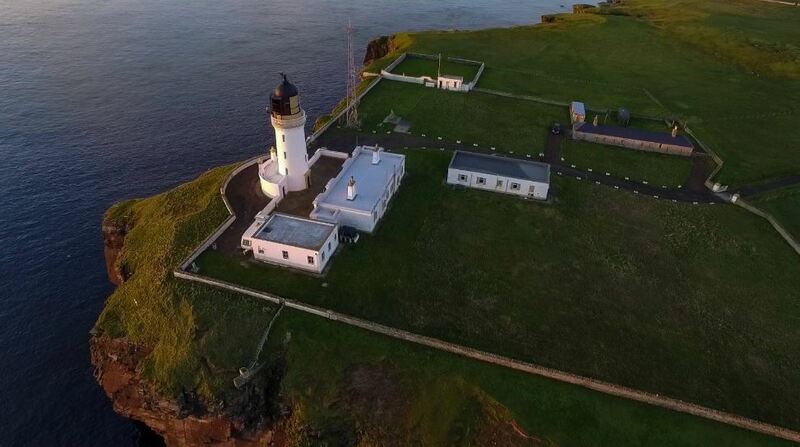 The Old Engine House, Noss Head Lighthouse Station. This should remove a whole heap of pressure and keep the thing fun from our volunteers’ perspective. Most importantly, this restructuring of Unique Property Bulletin will ensure our readers continue to have enjoyment looking for and buying/renovating their ideal property. Whether just having a quiet dream about “what if” over a coffee break at work, or, as happens to many of us, you chose something utterly eccentric to live in, as featured on these pages and take the plunge. 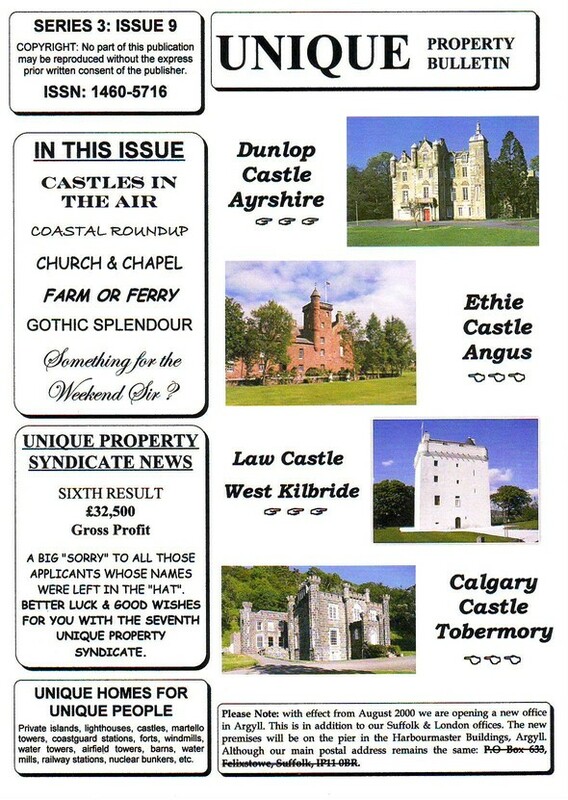 Our readers have bought castles, coastguard stations, windmills, watermills, nuclear bunkers forts. 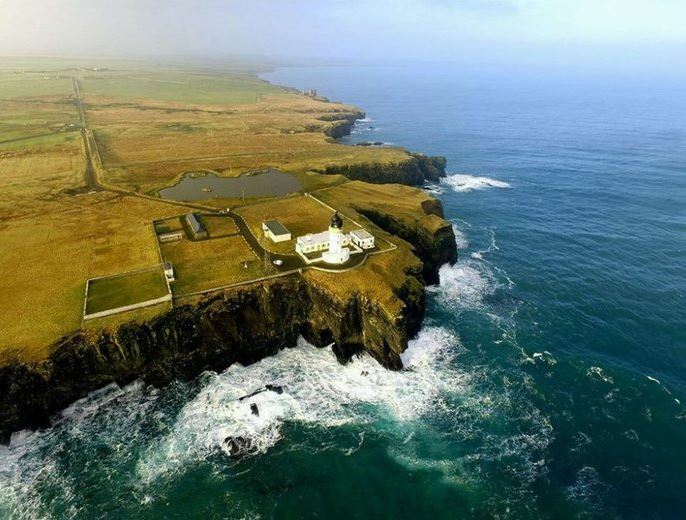 The full A-to-Z of unique property: Air Control Towers to Zoos and all stops inbetween. We love how the virtual website can make a real world difference to our readers. 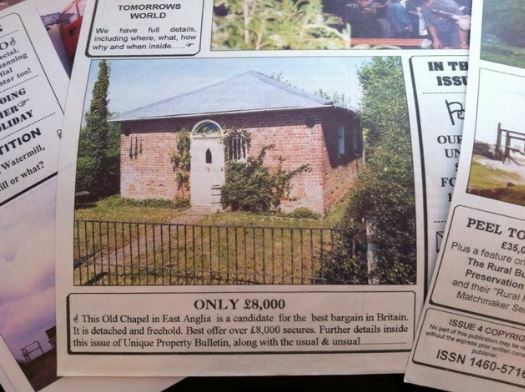 You might wonder how we can manage to buy several unique buildings and put them, mortgage free, into a trust to ensure the virtually perpetual future of this publication? Our own Bulletin volunteers’ have been clocking up a lot of time and effort, plus a fair share of the old blood, sweat and tears in organising the latest Unique Property Club venture and adding value along the way. But that is only half the story. 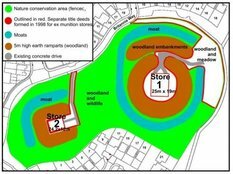 Between 1997 and 2007 we ran 18 unique property club projects. In 2008 we temporarily suspended new purchases because of uncertainty surrounding the banking crisis. 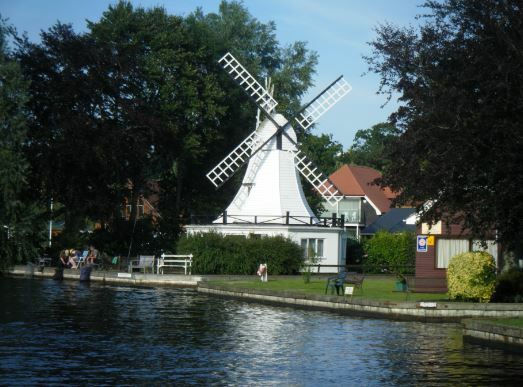 Also many of our syndicate membership at that time had achieved their goals – each ending up with a unique property, and mortgage-free into the bargain. With great serendipity this most recent property club acquisition is helping secure the future of the Bulletin. It is important to us here at Unique Property Bulletin to acknowledge the core members of this UPS24 syndicate and say thank you to each and every one within it. 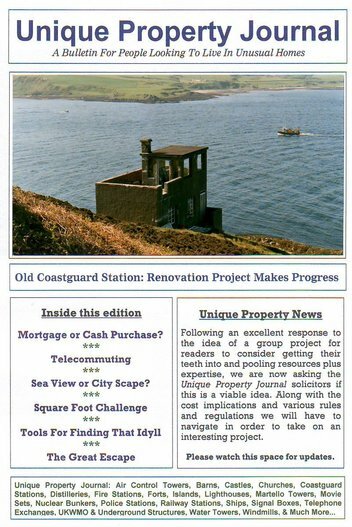 The goodwill of our dedicated supporters and members have enabled Unique Property Bulletin to acquire it’s own premises and ensure the long term future of this publication. 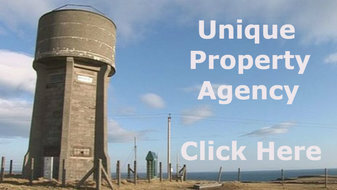 Each member of the next 6 property clubs (lighthouses + nuclear bunkers + water towers + coastguard stations, etc) have agreed to an “Angels’ Share” in order to safeguard both the Unique Property Bulletin + property clubs + other sister websites such as Lighthouses For Sale & Rent (here) + Grand Designs For Sale (here). This is the key to our property club thriving. A real world version of “Pay It Forward”. With our members are helping us, we can then help them – and you. This is a virtual circle and something which fills us all with delight at UPB and UPS HQ. The Bulletin and our unique property club have come a long way in the past two decades+. Now, with the help of the very readers we seek to assist, the Unique Property Bulletin’s future is looking more secure as each day passes. From the heart: thank you to all those who have helped us, and in reciprocation allow us to help you – find that amazing ideal home.